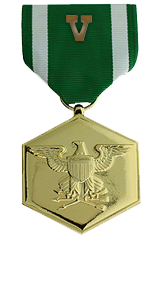 For heroic achievement in connection with combat operations against the enemy while serving as Forward Air Controller, Company I, 3d Battalion, 3d Marines, Combined Joint Task Force-76 from 8 November 2004 to 15 June 2005. On the night of 23 March 2005, the platoon to which Captain Blume was attached was attacked by Al Qaeda and associated movement forces while conducting security patrols in the Korangal Valley, Pech District, Kunar Province. After moving under fire to a position to best control aircraft, Captain Blume successfully directed 14 combat controls of A-10 aircraft over the next two days. His actions assisted the platoon in repelling the attacks and producing three enemy killed in action and five enemy wounded. As the forward air controlled assigned to India Company in the Kunar Province, Captain Blume coordinated and submitted all air mission requests to support combat operations. He continually provided crucial training in close air support and medical evacuation and casualty evacuation procedures to the Marines of the company. By his enthusiasm, professionalism and unwavering devotion to duty, Captain Blume reflected great credit upon himself and upheld the highest traditions of the Marine Corps and the United States Naval Service.